Montana: Today, the U.S. Fish and Wildlife Service (USFWS) denied Endangered Species Act protection for the iconic Yellowstone Bison. The agency’s decision comes 14 months after Western Watersheds Project and Buffalo Field Campaign petitioned to list these bison as an endangered or threatened species. The groups sought federal protection for the Yellowstone bison because these unique bison herds are harmed by inadequate federal and state management and other threats. In the finding, the USFWS now agrees that the Yellowstone bison are a distinct population of bison, reversing its 2011 position. Western Watersheds Project works to protect and restore wildlife habitats on the nation's public lands through education, scientific study, public policy initiatives, and litigation. Western Watersheds Project has offices throughout the west including Montana, Wyoming, Idaho, Arizona, Oregon, and California. 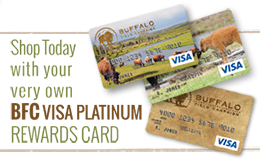 Buffalo Field Campaign is a regional conservation organization with offices in Montana. Buffalo Field Campaign was founded in 1997 to protect the natural habitat of wild migratory buffalo and native wildlife, to stop the slaughter and harassment of America’s last wild buffalo as well as to advocate for their lasting protection, and to work with people of all Nations to honor the sacredness of wild buffalo. Friends of Animals is an international animal protection organization founded in 1957 that advocates for the rights of animals, free-living and domestic, around the world.